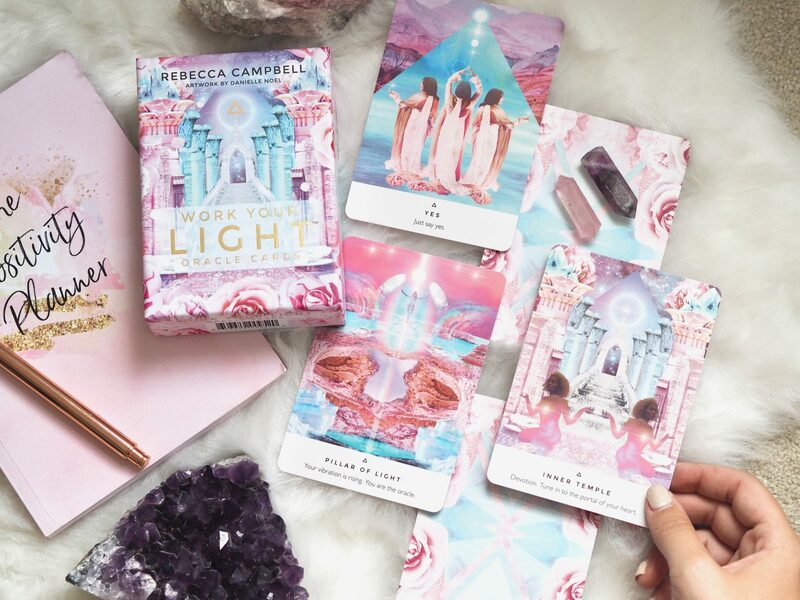 Oracle card decks have been one of my favourite tools during my spiritual journey that have provided me with comfort, solutions and helpful advice when I’ve needed it. I normally stay away from Tarot cards personally but even some of my favourite decks are tarot cards, and really it’s all the same! Using Tarot or Oracle cards are perfectly safe as all you are doing is simply connecting to the Universe to ask for guidance and support. We do this every day by asking for signs and numbers to show us that we’re on the right path. This was one of the first deck’s I bought along my spiritual journey. I’ve only recently pulled them out and now practise with these each day during my morning routine. I love pulling a few cards as they are always spot on, and Gabby’s wise words of wisdom always echo throughout. There isn’t a right or wrong way to do these cards sometimes I pull one sometimes I pull four normally I just let the cards fall out and go from there. Although these cards don’t provide predictions as such, these are great for affirmations and no matter what the Universe really does have my back with these cards. Now I hate to say I have a favourite deck but I really do and it’s these babies. 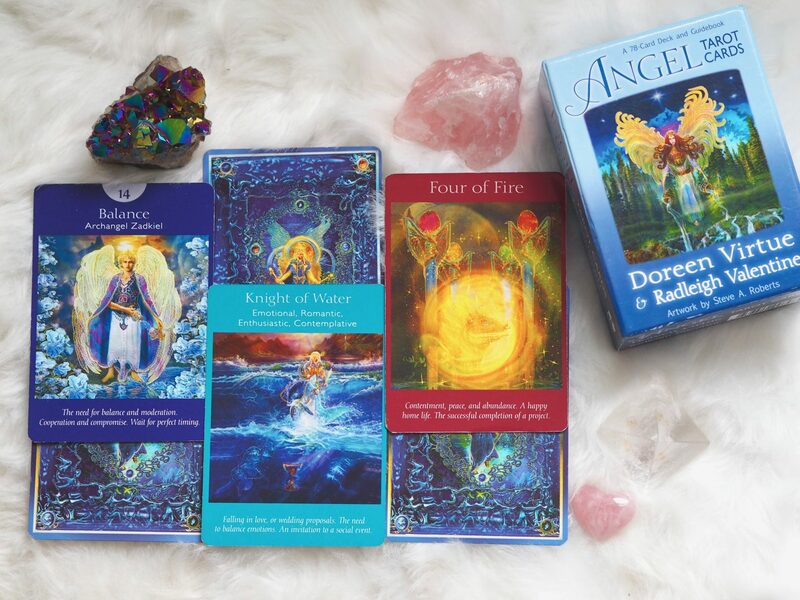 I have connected so well with this deck and always get such spot-on predictions and messages each day from my Angels. Each morning I simply ask ‘What do I need to know today Universe?’ and without fail my Angels deliver a card or two that is always just so spot on it’s freaky! I love the feel of these cards and the energy, although I’ve seen bad reviews for the deck online I honestly feel just like with anything – we all vibe and connect with different things. These cards have been able to provide me with accurate, comforting and loving messages each day which is simply a blessing. 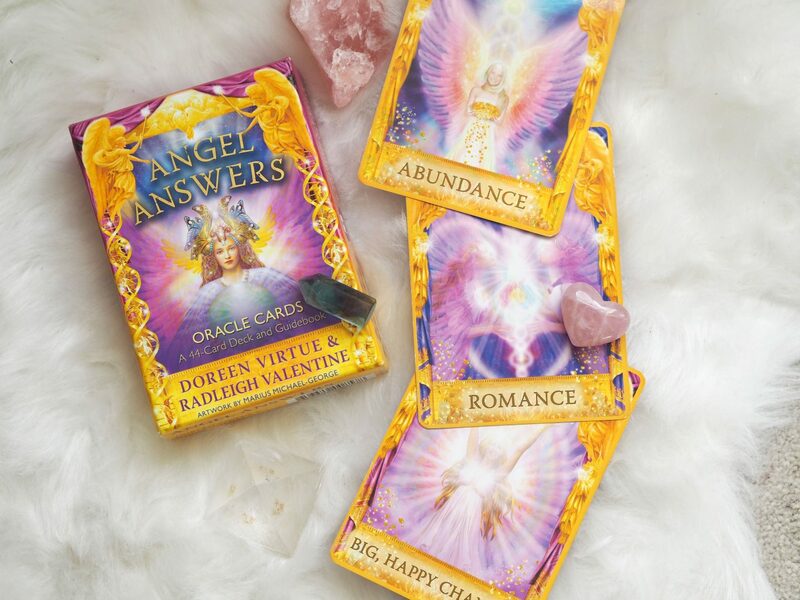 So if I had to recommend one deck alone it would be these Angel Answers cards. 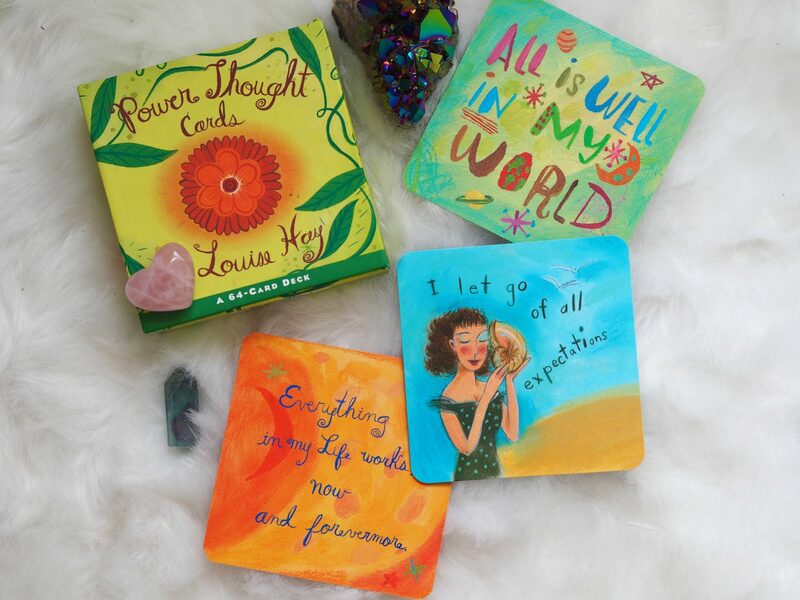 I bought these Louise Hay cards recently after seeing them in Louise Hay’s ‘You Can Heal Your Life Movie’ I love these cards simply because I freakin’ love affirmations! Each day I’m provided with again an incredibly accurate affirmation card that helps me work through anything I’ve been feeling. 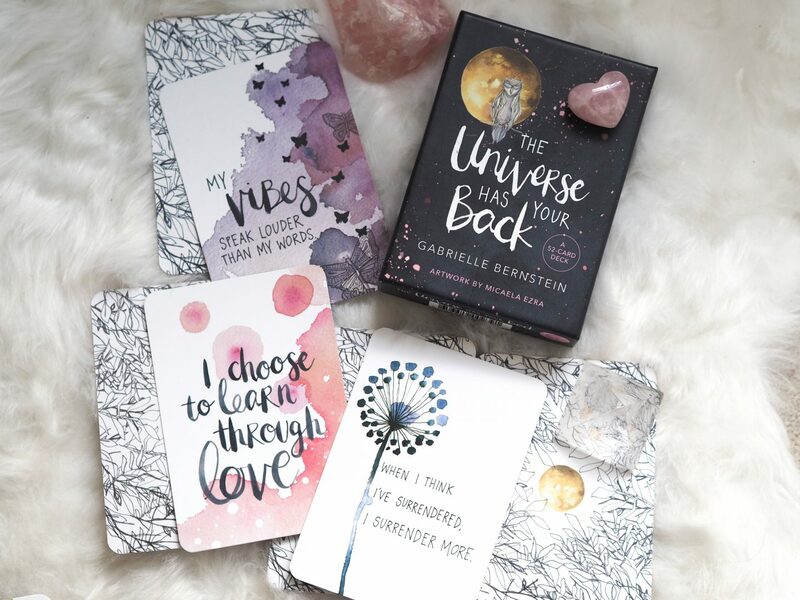 I’m all about the power of our words and with these double-sided cards, I’m able to speak into existence what I would like my reality to look like and gain great words of wisdom from Mamma Louise! These were the first Angel cards I purchased and I’ve bought these for so many of my friends they’re that good! I love doing three card spreads as these represent past influences, current situation and future outcome. These are great for when you need a more in-depth answer and want to understand the situation more fully. These cards without fail deliver accurate readings and again these bring me so much love and comfort from my Angel gang. Rebecca’s cards have been the latest addition to my oracle card collection. I really felt drawn to these not only because of the gorgeous pastel designs, but also because of how different they are to usual decks. These I feel are mainly focused on our divine feminine work and have delivered beautiful readings for me regarding my spiritual development and career. So I absolutely love these cards as they are so unique and have a beautiful message. These were again a deck I purchased quite early on in my spiritual journey, but haven’t picked up and used frequently until now. 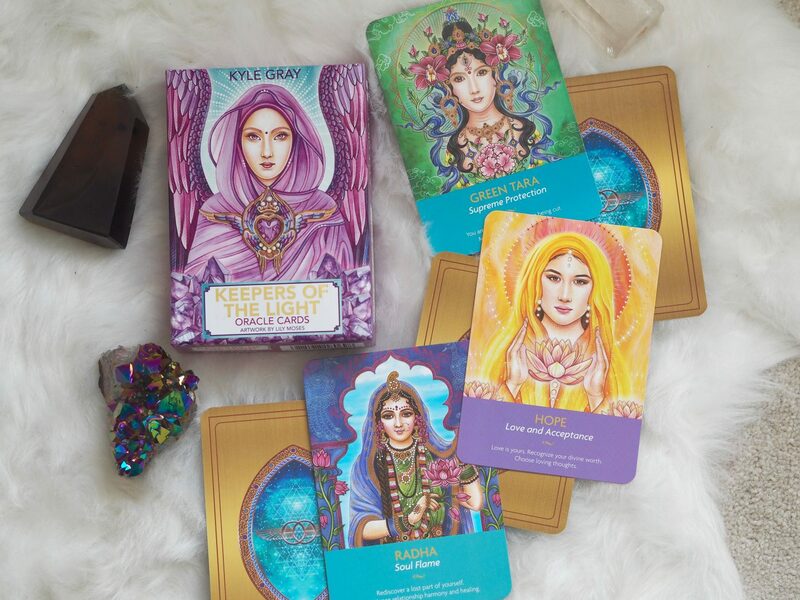 I bloomin’ love these cards and Kyle has really created a gorgeous deck designed to give us beautiful messages from our Ascended Masters. Whenever I need some direction or want some encouragement I always turn to this deck and the most beautiful master will appear. Green Tara pops out a lot for me and I just love the energy of her card, I always feel so loved and protected. I bought this deck only a few weeks ago, but felt drawn to them straight away as numbers have been stalking me recently! This deck is great if you too see numbers everywhere and feel connected to them. 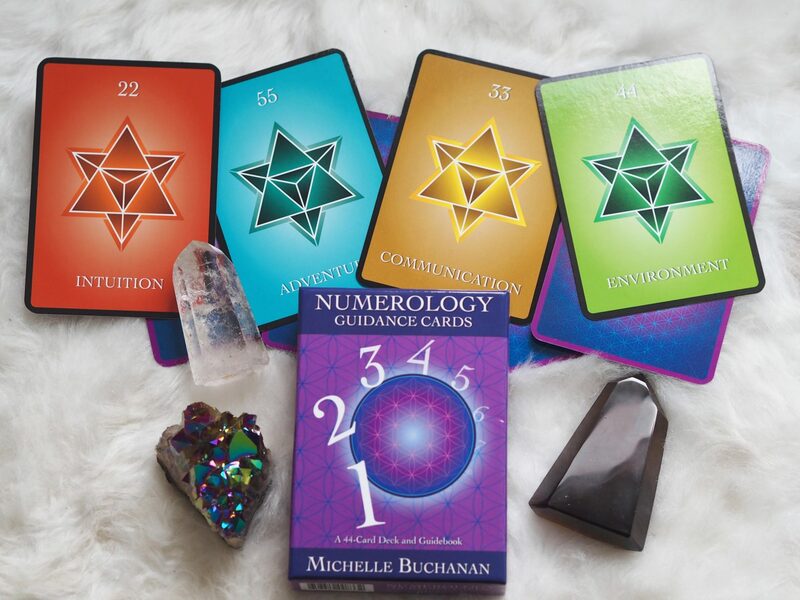 Again this deck helps you to find direction and guidance for your situation through the power of numerology! Although I’m still getting used to these cards I absolutely love the feel of them and the perfect card will always fall out when I use them. I love the angel tarot cards, but I’m also drawn to the romance angels oracle cards as well. I find those to be pretty accurate in predicting love and romance. Don’t know if you’ve given it a try, but you should. Oh no I haven’t tried them thanks I will check them out!